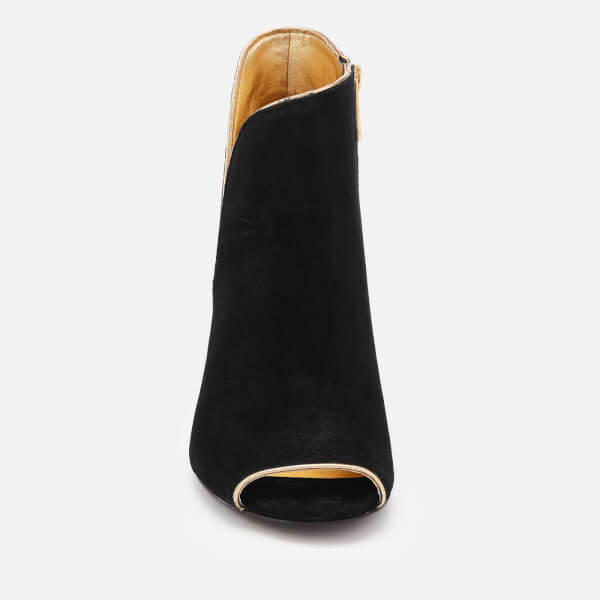 MICHAEL MICHAEL KORS black suede shoe boots with gold-tone metallic piping. The ‘Harper’ heeled ankle boots are detailed with an open-toe and set on a wrapped stiletto heel. An internal zip fastening, a logo-engraved zip puller and a metallic ‘MK’ logo on the sole complete the heels.